This post documents our starting points for all four areas. See the photo gallery at the bottom of the page. Luckily, we’re not starting from scratch with an open air vegetable garden. Although small, the previous owners have made sure it is difficult for wildlife to raid the garden. 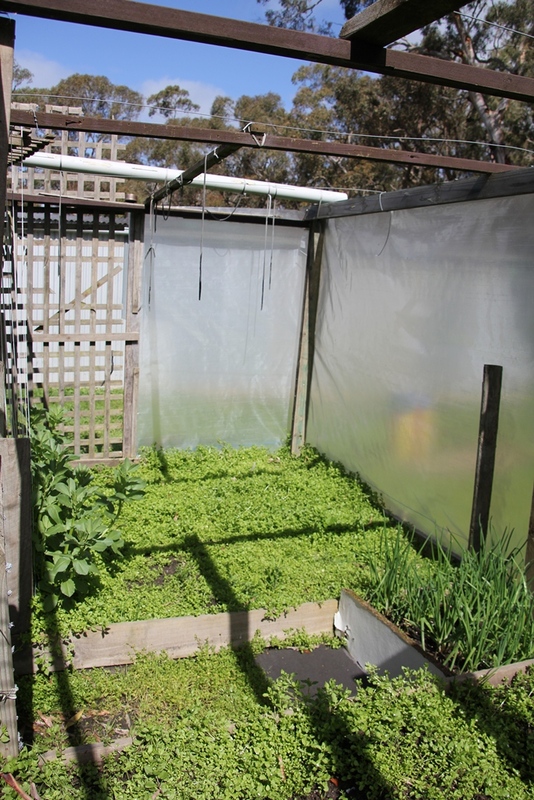 They had also planted a few vegies before leaving – broad beans, shallots, potatoes and silver beet. 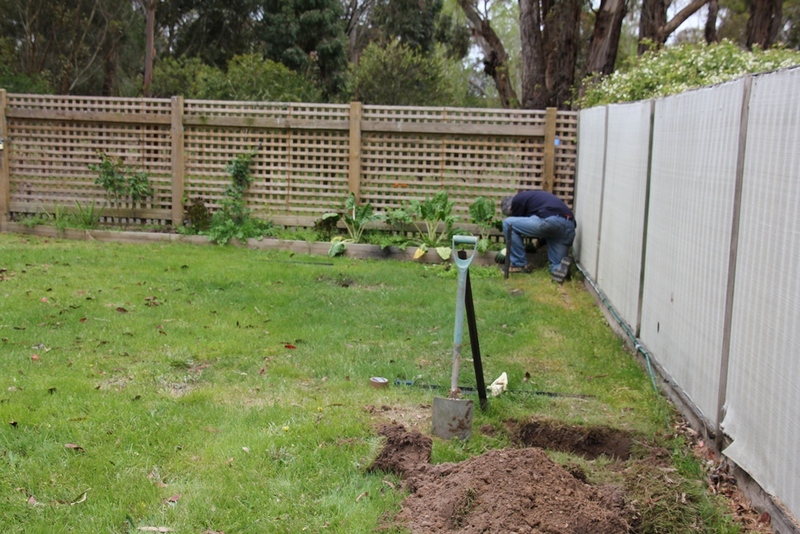 The existing vegetable garden is small, but is well protected from possums and kangaroos that may wish to treat themselves to fresh vegetables! 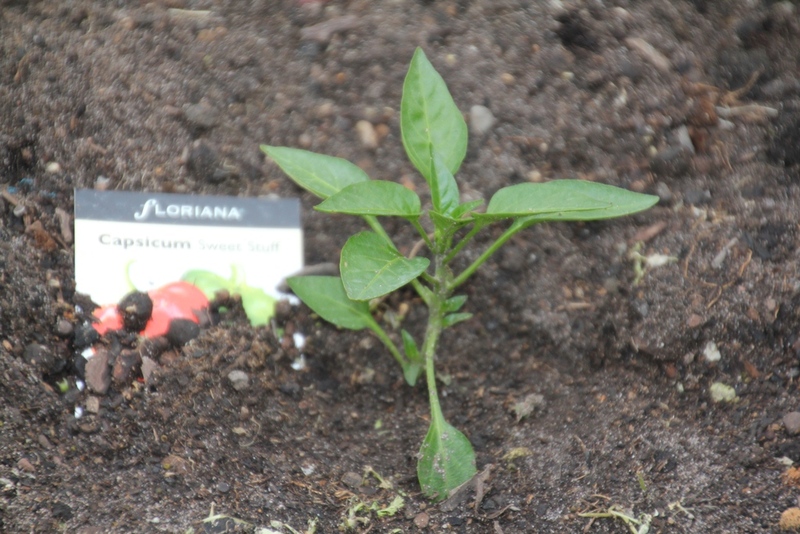 This week we spent time weeding the vegetable garden, then planting tomoatoes, beans and capsicums. 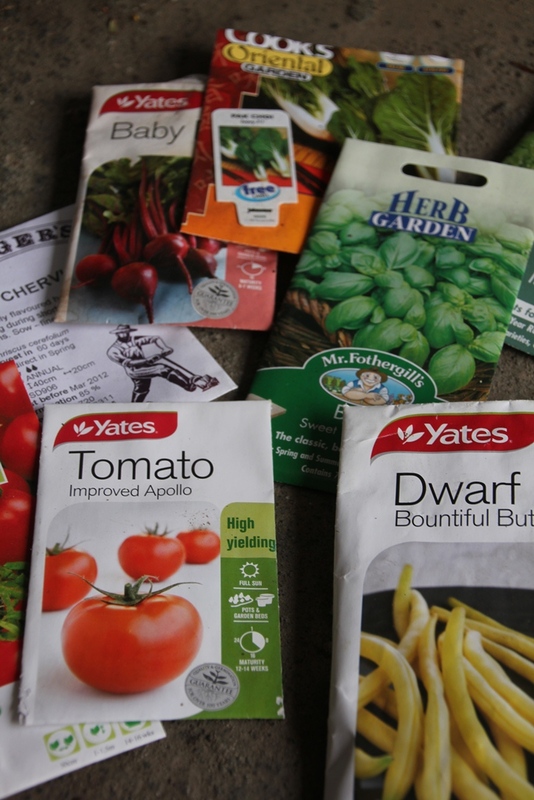 On Thursday, I also joined The Diggers Club, and have ordered a heap of heirloom seeds online. I can’t wait for these seeds to arrive so I can plant them. The Diggers Club specialise in growing and selling flavourful and colourful heirloom vegetables which were in danger of being lost. In the push for supermarkets to sell unblemished fruit and vegetables, flavour and variety were not as important as toughness because the fruit and veg had to be handled by so many people. If you’re not aware of the The Diggers Club, I encourage you to visit their website and browse through the fascinating collection the offer. 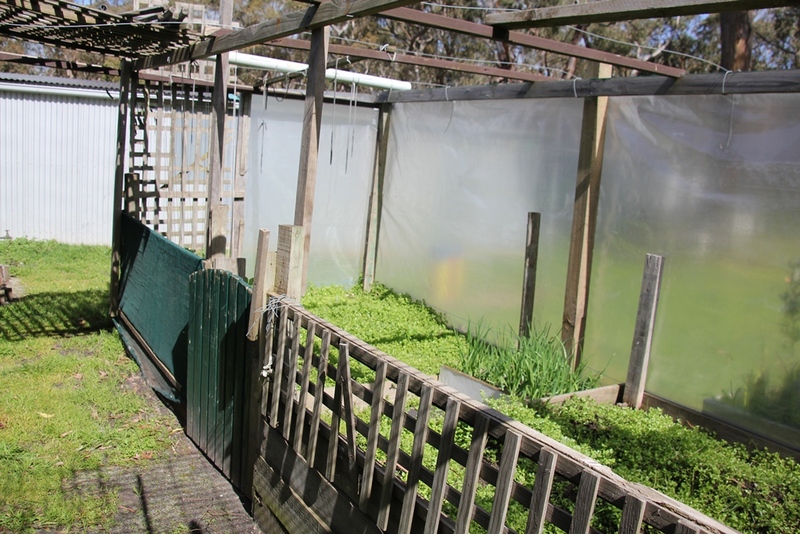 With better internet connection (more about this in a new post soon) we’ve been able to do more research on the greenhouse, and we have selected one that suits our needs. This will arrive at the end of October. We’re also getting some raised garden beds to put inside the greenhouse so we can plant frost-sensitive vegetables and herbs to eat all year round. 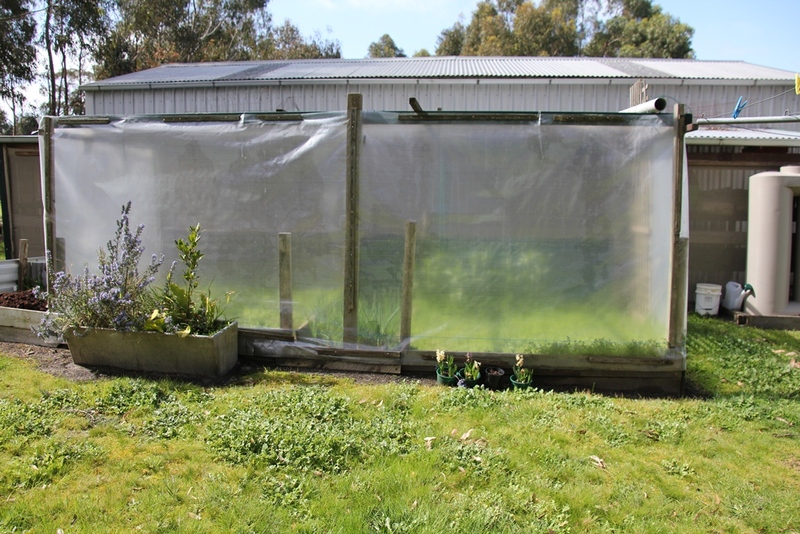 Among the vegies we want to plant in the greenhouse are tomatoes, capsicum, chilli, aubergine – I’m still researching what will need to be in there…! We found our greenhouse at Sproutwell Greenhouses. They are not made from glass, but polycarbonate panels. Inside the panels are a series of either 6mm or 10mm tubes, which help to keep the temperautre constant. The design incorporates opening roof panels and for a half door to be opened, allowing in air, but keeping out wildlife. This flat area of land, immediately behind the fernery, and inside the house yard makes an ideal spot for our new greenhouse. The spot we have selected to put the greenhouse is immediately behind the fernery. 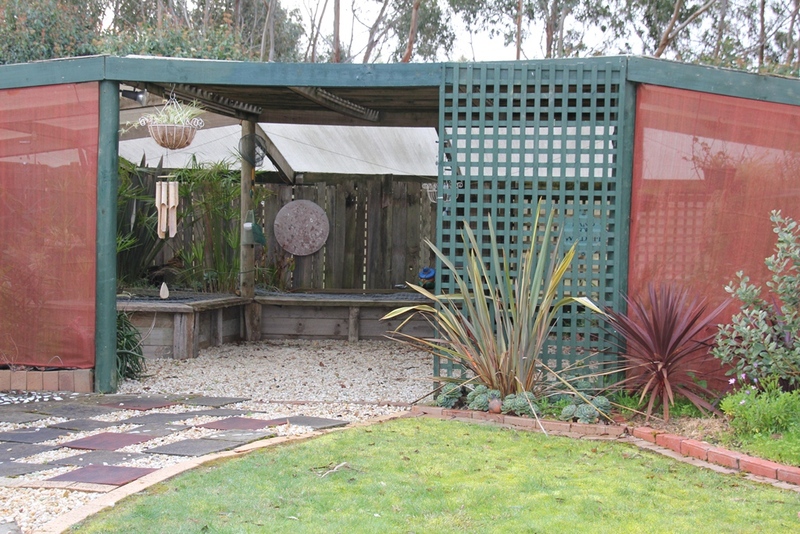 This is in the ‘house’ yard, and doesn’t obscure any views of the dam or the trees. Unfortunately, when staking out the ground, we nicked a water pipe. At the time of writing, we’re still waiting for the plumber to arrive and fix this… maybe it would be an ideal spot to put a tap?! 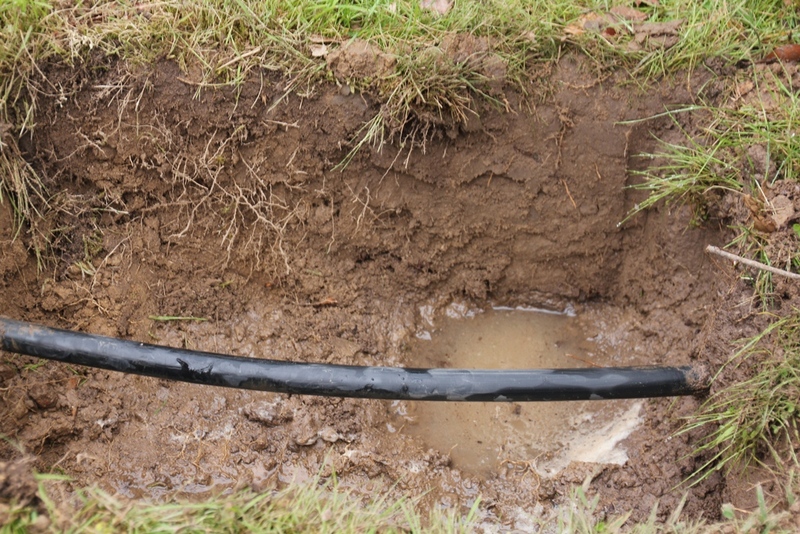 We pierced this water pipe while staking out the ground for the greenhouse – whoops! . Inside the area we plan to enclose for the cats, is a garden which currently has many succulant plants, and a pineapple guava. This would be an ideal spot for a herb garden. It means pulling out many succulants and daisies, but we will leave the pineapple guava in place. The daisies will be replanted elsewhere in our garden, and I’m sure we can find good homes for the succulents we remove. The leafy herbs will lift the garden, both with their aroma and their colour. Most importantly, it will be easy to just duck outside and grab some herbs when I’m cooking. I’ll be able to see the herb garden from tke kitchen window. This small garden will make an ideal herb garden. Visible from the kitchen window, which is where this photo was taken from, it will be easy to just run outside and grab some herbs when I’m cooking. 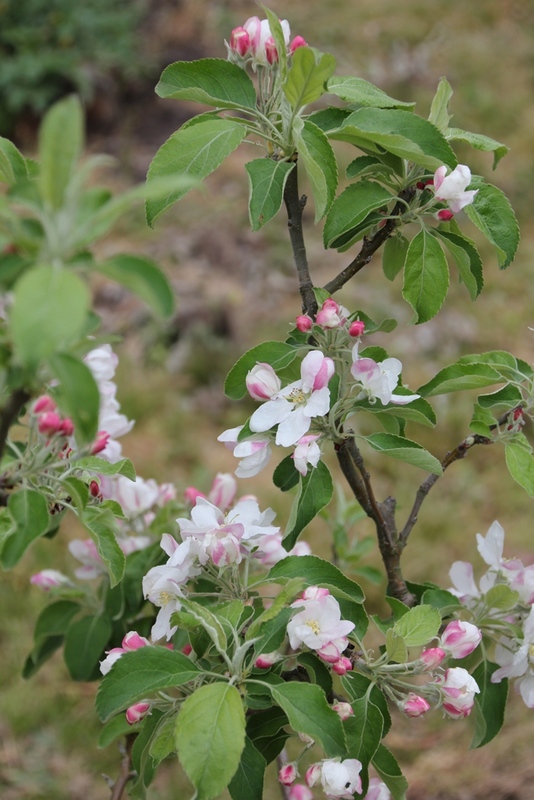 The previous owners have planted a small orchard of fruit trees. The trees are all small, but we have been told that they all bear fruit. We think we have an apple tree, some stone fruit (possibly apricots, peaches or nectarines) plums and cherries. In other parts of the garden, a lemon tree, a pineapple guava, and the potted lime trees we bought with us. This is an excellent start. Once we know the varieties of the trees we currently have, I’m sure we will plant others. 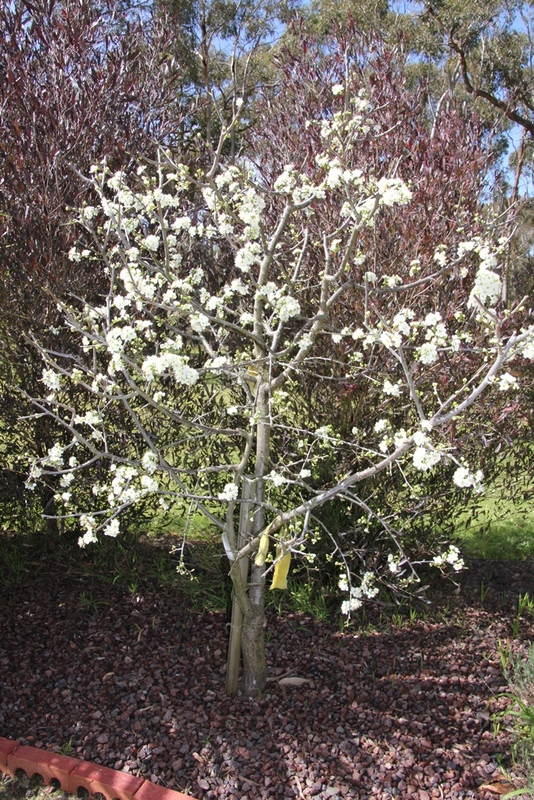 It’s Spring, and the fruit trees are currently a lather of blossom. Hearteningly, I’ve seen bees hovering around, so this is a promising start. Fingers crossed we get some fruit, and that we get to it before the possums do. The previous owners have constructed a barrier to keep wildlife out of the vegetable garden. The vegetable garden is located immediately behind the potting shed, with the entrance in the narrow corridor between the shed wall and the garden. This discourages wildlife from jumping over the fence. 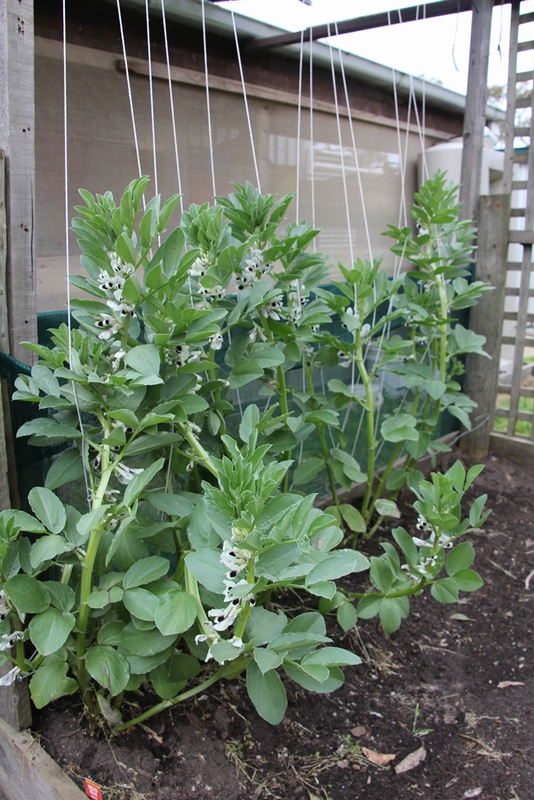 The broad beans planted by the previous owners are growing well. 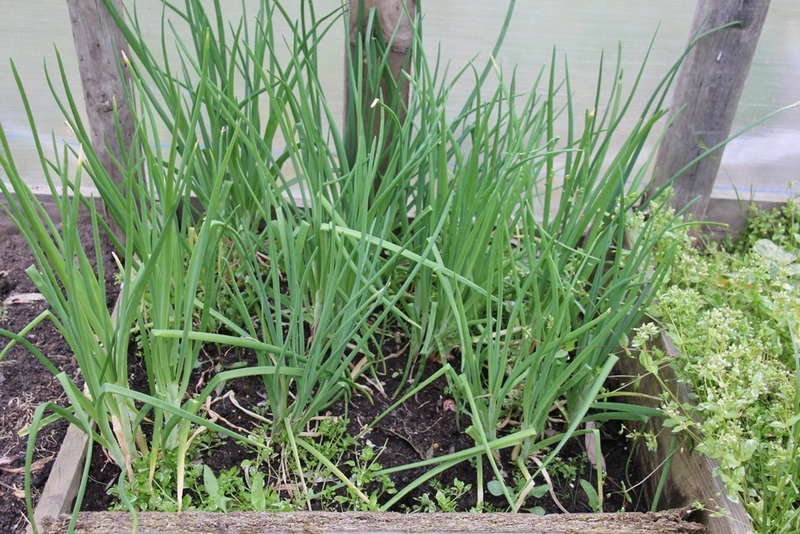 These shallots were planted by the previous owner. 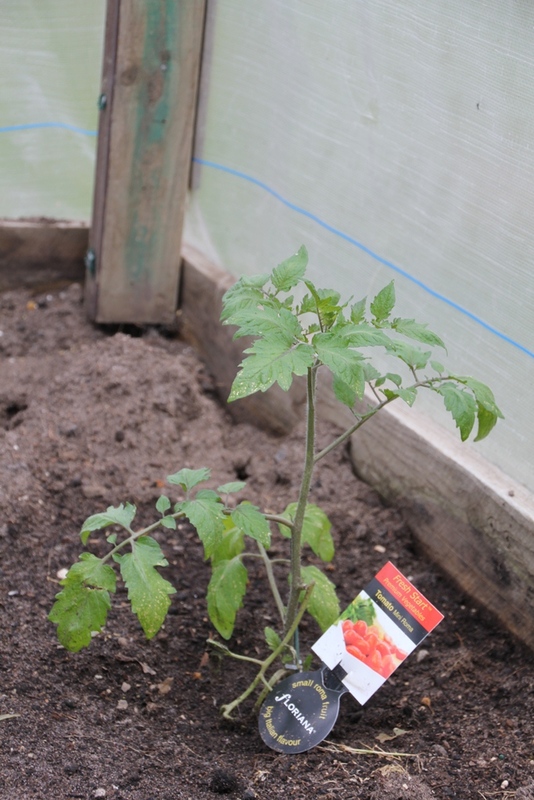 We planted this tomato in the open air, and will plant other varieties in the greenhouse. 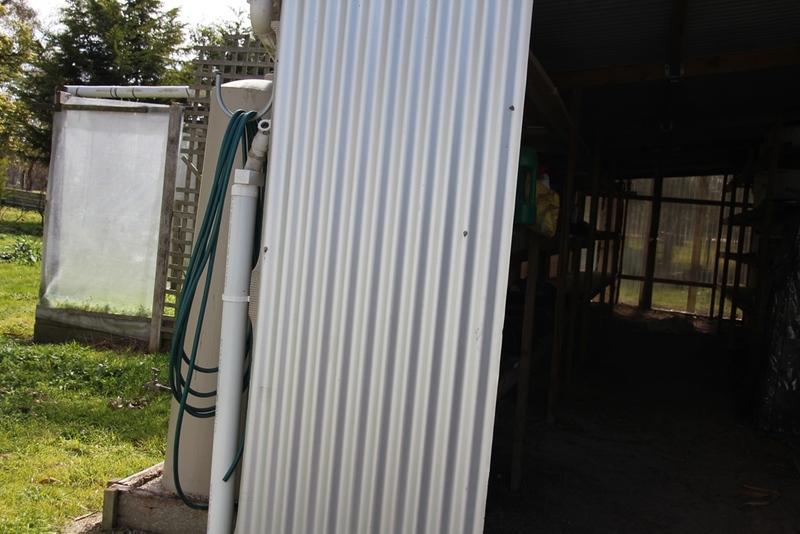 We pierced this water pipe while staking out the ground for the greenhouse – whoops! The previous owners had told us they planted potatoes, but we had to wait until the leaves poked through to know where they were planted. 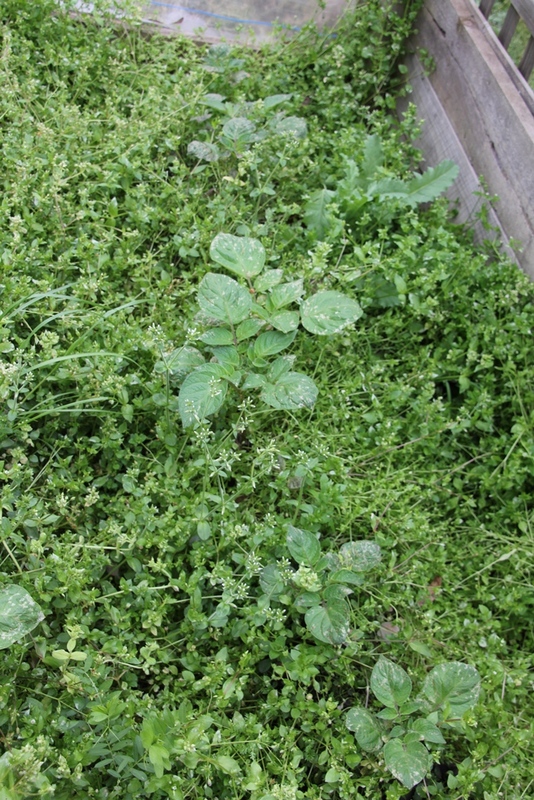 Now we can weed this bed too! 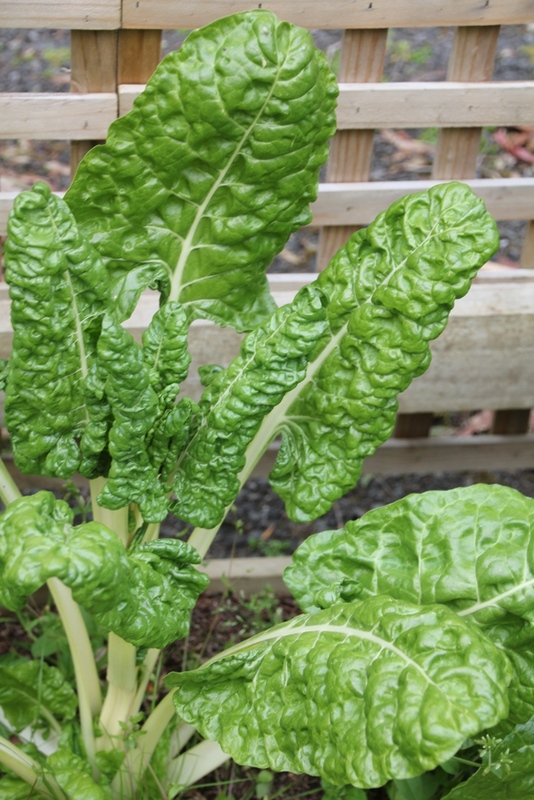 We found silverbeet growing in another flower garden among the roses. In all of the time we have been here, we have not seen any snails, as the hole-free leaves show. Good luck with your garden, but most importantly have fun!